even if they were not conscious of their role. without conscious awareness or agreement. not paranormal phenomena, caused table-turning. of magic pendulums, divining rods, and table-turning. however, I’m willing to give them a chance. using a forked wand of willow. if scientists say there’s nothing to it. so I listen to what she says. pointed to the right answers. 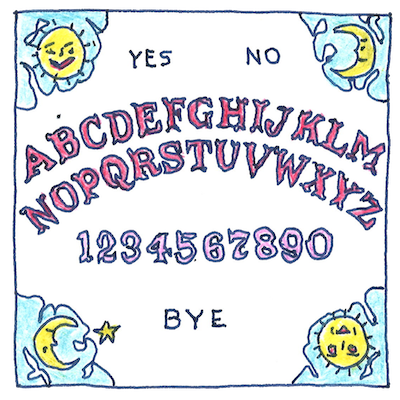 Anyone may unconsciously influence, without a willful purpose, tables, pendulums, rods, and planchettes on ouija boards. This ability does not presume any special connection to a spiritual world. The unconscious might be worth listening to, but there’s no way to predict its relationship with shared reality.